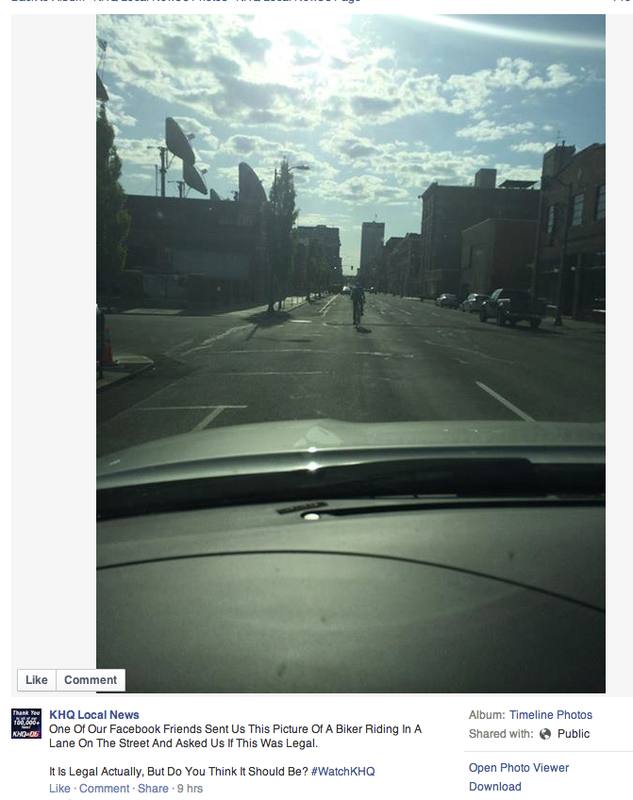 Today someone took a photo of a cyclist in the road, sent it to KHQ News, and asked if what the cyclist was doing was legal. KHQ posted the photo on their Facebook page, said that the cyclist was legal, and then asked, "But do you think it should be?" And so began the "debate". There was one noteworthy comment telling KHQ they should put a Go Pro on a reporter and have them try bike commuting for a while.